THERE HAS BEEN significant reduction in the number of drink driving orders made by the courts last year. 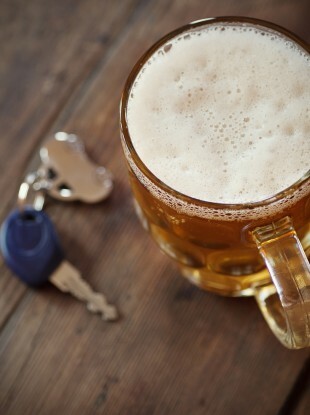 In 2014, 8,477 drink driving offence orders were before the District Court – a fall of 25% on 2013. This represents a 33% fall from 2012 figures. However, 62% of the cases that appear before the District Court relate to road traffic offences, which is little change from the year previous. 3,321 were disqualified from driving, while 2,976 were fined. 635 cases were dismissed. Last year, Chief Justice Denham said there needed to be more “imaginative ways” to avoid the situation where the non-payment of fines for traffic offences automatically results in a driver being summonsed to court. Nobody benefits from Court hearings being packed with matters which might just as easily be dealt with via another route. In 2014, there were 3,873 dangerous driving orders, of which 713 were disqualified from driving. There were 65,629 penalty points offences before the District Court last year. Over 26,444 cases were struck out. Over 22,883 were ordered to pay a fine and 4,544 disqualified from driving. Last month the gardaí began to commence prosecutions of motorists for the failure to present driving licenses in court, which has been resulting in penalty points not being recorded on licences. Email “Fewer people are being taken to court for drink driving offences ”. Feedback on “Fewer people are being taken to court for drink driving offences ”.